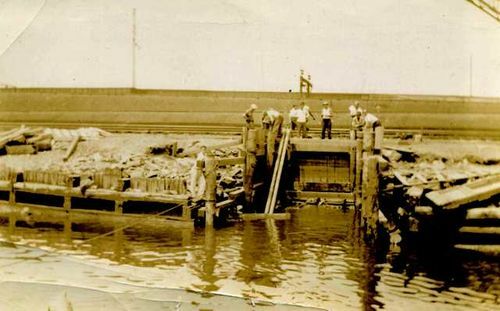 The Meadowlands Museum has a bunch of photos likely taken in the 1930s along the Hackensack and Passaic River. This look likes work on a tide gate to us… Anybody have any ideas? Folks who participated in yesterday's Harrier Meadow walk were treated to some real nice looks at several Bald Eagles, who wheeled high in the sky and provided great views of those trademark white heads and white tails. Also had one perched. 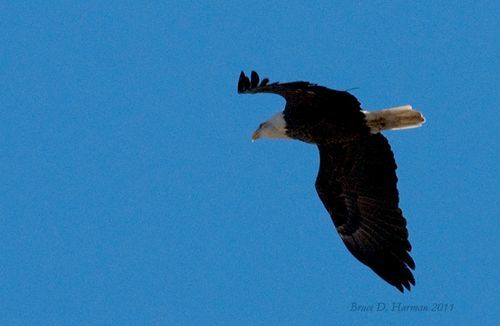 A few of our eagle-eyed participants thought they saw a transmitter on the back of one of the adult eagles, and Bruce Harman was able to get a few shots of the distant bird (shown here). What's the big deal? 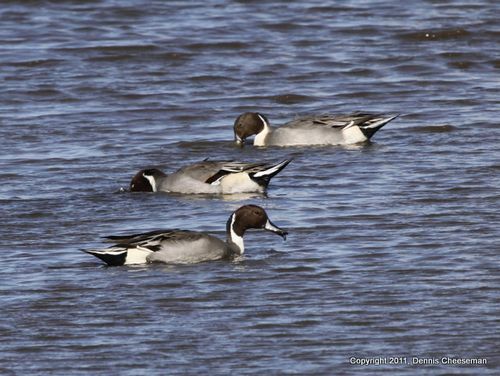 The big deal is that this bird is likely one of the pair that successfully north of the Meadowlands this year. We have posted other photographers' photos of this same bird in the past — in fact, it was Alice Leurck's photo (Close enough to see the bands on the legs) that enabled us to track down where the bird was from. Jim Wright, who keeps this blog, wrote about that same bird and the increased frequency of Bald Eagle sightings two weeks ago in The South Bergenite. Link to that column is here. A post with Mike Malzone's Spring 2011 transmitter-eagle shot and earlier links is here. We had one of our best guided walks ever yesterday, with 51 of us enjoying nature's pleasures in Harrier Meadow in North Arlington. The species count was 40 — beginning with an American Kestrel at the start of the walk to three Bald Eagles at the end. The weather was operfect and the group could not have been more congenial. 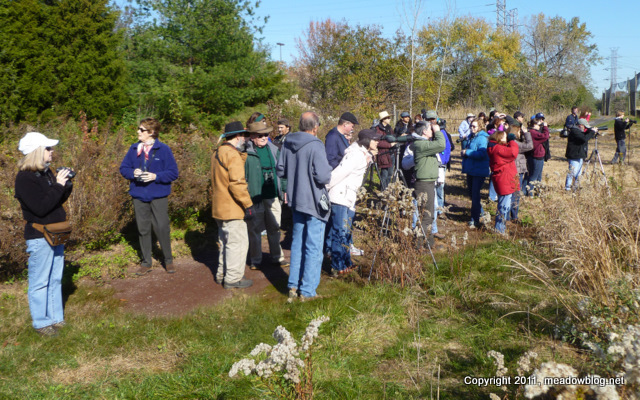 The free walk was sponsored by the Bergen County Audubon Society and the New Jersey Meadowlands Commission. We will post a full list and highlights — and a separate post on one of the Bald Eagles — in the next couple of days. Thanks to all who participated! Also seen: More Gadwalls, Ruddies, Green-winged Teal and Northern Shovelers.